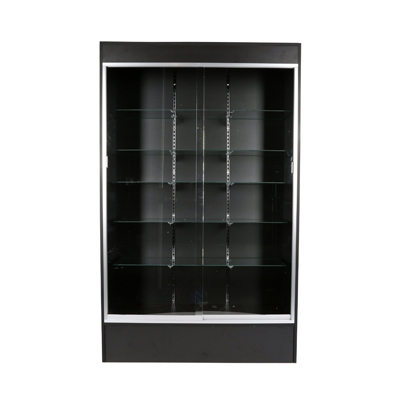 The Wall Display Case has 67 inches of vertical display area with five 12 in. x 44 in. adjustable shelves made out of tempered safety glass. 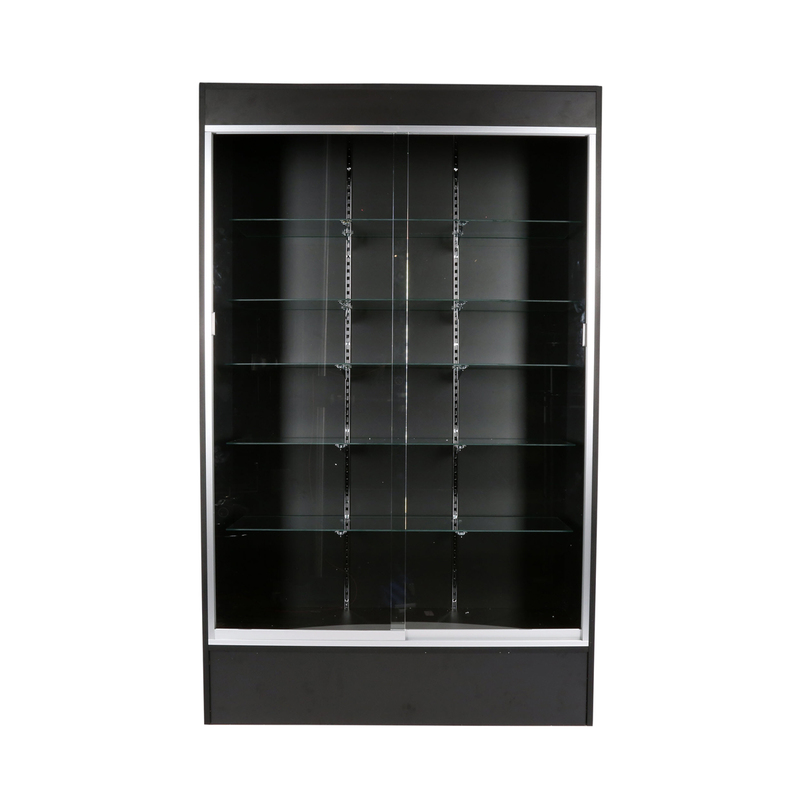 1/4" glass sliding door.Satin finished clear anodized aluminum frame extrusion Chrome finished standard and bracket. Wall Display Showcases are available in Maple, Cherry, White or Black. Additional shelves available, search item 29362. Optional Ratchet Lock available. Search for Item #9225. Assembly is simple and takes approximately 2 hours or we can assemble for you, see assembled item #A20021.